I have recently have been on the kick of re-watching movies that came out during the summer. For background, the summer of 2013 was the worst season for movies that I can remember. Every movie that came out seemed to be not only disappointing but also paled in comparison with any movie that I could remember from the other past years. Among the many movies I saw during the past few months, the only movies I enjoyed and came out of the theater without having a bad taste in my mouth was “Before Midnight” and “Pacific Rim”. 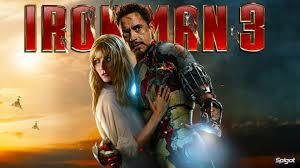 So, I stopped by my local dollar and a half theater to so “Iron Man 3” which I did not like. 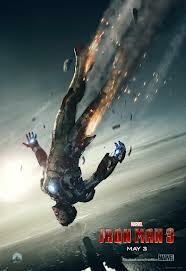 The action was stale, the tone of the movie did not seem to match up with the other movies in the franchise, and the scripted was sloppy. And I was surprised. I had less of a problem with the movie than the first time and I actually could say I enjoyed it although it is not the best film in the franchise in my opinion. I similar thing happened with “Star Trek: Into darkness”. Read my last post on it. The negative consensus regarding the crop of movies that came out during the summer of 2013 seems to place the problem with the script. The scripts seem to be blatantly derivative of successful movies that came out during the past few years and thus they became derivative of each other. The common response from the other side of the opinion is to accuse the opposition of nitpicking. Well, you get the idea. This debate is not a new one. However, this debate is not a really old one either. I have been going to the movies for a long time. I remember a time when this debate was not that as prevalent in the public domain as it is in 2013. If you really think about it, it was really only with the start of the 21th century that the term “nitpicking” become a common word in the vernacular of the American movie going public. And it was not the result of any direct outside influences. For example, the word “nitpicking” is rather interesting to a native Korean like myself. In my native lands, I cannot recall a single word that can be equated to the term “nitpicking”. Before going further, there needs to be a distinction made between plot and story. According to Foster (1927), story is a chronological sequence of events and plot is the causal and logical structure which connects events. 'Events’ generally include natural and non-natural happenings like floods or car accidents; 'action' more specifically refers to willful acts by characters (Jahn 2002). When you compare movies before and after the start of the 21th century, you may notice a drastic difference. Not only do the earlier movies have less story, it had much less plot than the newer movies. For example, think about the Romantic comedy genre movies. There were a lot of events going on in the films but the plot was flimsy at best. However, it did not matter to the audience. The core character dynamics and chemistry was the only thing really important. The only movies, that had anything similar to the degree of plot demanded by the current American audience, were the movies that fell in to the mystery/thriller genre. They satisfied the niche audience that had the taste for heavy plot in their movies. With the start of the 21th century, the audiences’ appetite changed. The movies of the past no longer had mainstream appeal and disappeared from the public’s consciousness. In the current age of movie making, the closest equivalent to these past movies would be made to TV movies you may catch on cable channels such as Life Time or the Hallmark channels. The audience or specifically, American audience demanded more plot in their movies. 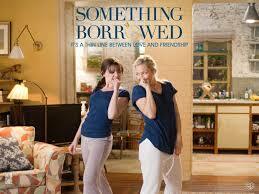 The Romantic comedy genre was one of the movie genres to be directly affected by this change. The mystery/thriller genre was a case of collateral damage. It lost is mainstream appeal as it could no longer claim to monopolize heavy plot. Audiences had other avenues to get their plot fix. Early symptoms of this change in appetites could be seen in the Horror genre movies. Around the turn of the 21th century, you begin to see lots of horror movies that try to explain motivations or back story. This trend really did not work with audiences. 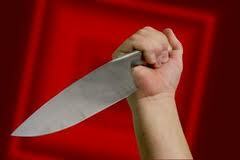 Horror movies do not generally require a lot of plot. 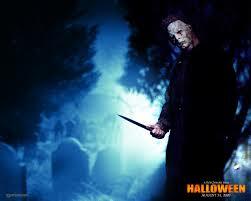 It could be even said that plot is disadvantage rather than an advantage for horror movies. Even now, they have not really found a good way to mix plot with horror. The reasons for this change are not clear. It could because of the increasing sophistication of the audience. It could be something else. I, personally, think that the emphasis on action actually had something to do with it also. Before, there was a balance between story and plot which was easier to maintain because, compared to the present, the degree of both were relatively low. Even with the Hollywood system of constant rewriting of scripts and on site alterations, the base scripts had enough plot to support the story. With the increasing degree of action which is a story element taking up more of the script, not only are there much more story that need to be supported but also there is less room to be subtle about laying out the plot. Thus, movies included more plot and the audiences got used to more plot. Having heavy plot itself is not a bad thing. Rather the over use of heavy plots create a twofold problem. First, once you get used to heavy plot in your movies, it becomes rather difficult to just enjoy the story without the proper structure provided by an effective plot especially when the story is heavy enough to desperately require it. Second, a heavy plot means there is more opportunity for structural failure. The current Hollywood system of creating scripts using multiple writers and having shorter and shorter scenes increases the difficult level of writing and making a structurally sound movie that does not fall down instantly. This is where the discussion regarding Nitpicking comes in. It is a conflict between how much you, as an audience member, derive enjoyment out of plot and how much the story requires plot to support it effectively. While the balance depends on the person and movie, the latter is relatively fixed because the movie is a finished product. Thus, it is more about how much the movie goer can bend. For the first or second time I saw the crop of movies this summer, I could not bend enough. The movies seems to be located in a no man’s land between having a too weak plot and having just enough for what they are. 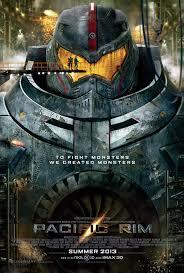 For example, “Pacific Rim” had just enough plot to support the giant robot and monster fighting. So, in the dollar and a half theater, I had a mindset of seeing a hallmark channel movie. I knew the story already and fully pre-processed the movie beforehand. As a result, I could bend myself enough to enjoy the movies. While the discussion of Nitpicking is a discussion about factors relative to the movie and the audience, I personally think that, for a movie to be good, it has to have at least a certain degree a plot which is executed well. While I enjoyed the movies that I rewatched, I did not think, for a second, that they were good movies but just decently enjoyable ones. A movie that cost more than 100 million dollars should not be on the same level with a made to TV movie at any category. One other things is that this seems to be an American thing rather than an international trend seeing the box office. Compared to the US market, movies with enough story but weak plot support seem to be performing better in international markets. I think that results from Hollywood's traditional emphasis on the 3 act story structure which I may cover in a later post. 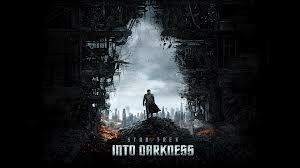 Looking back on “Star Trek: Into darkness”, my personal most hated movie of summer 2013.